Arguably Beardown Estate is best known as being the one-time residence of Mrs. Eliza Bray and her husband the Reverend Bray. However over the centuries there have been many enterprises set up on the Beardown Estate. These included; a small mine, a plantation and a rabbit warren. But as with many Dartmoor farms the most suited landuse was for grazing cattle, sheep, and ponies. 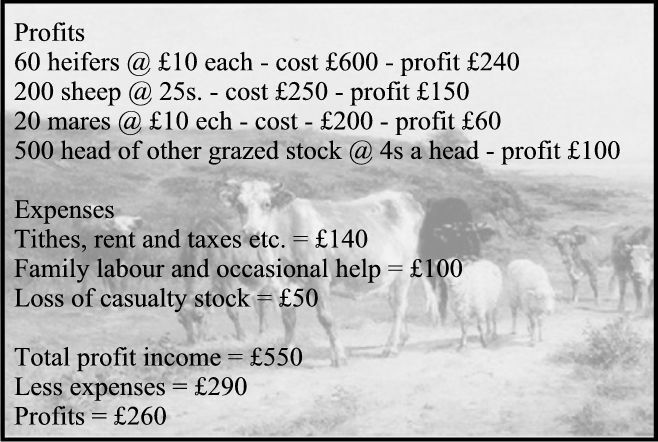 There are two such schemes which are worth note, one being the establishment of ‘The Beardown (Dartmoor) Cattle Grazing Company’ and the other being an attempt to graze geese. The Beardown (Dartmoor) Cattle Grazing Company. On the 27th of April 1861 a lengthy notice appeared in The Western Morning News. It offered investors the opportunity of buying 100 shares in the ‘Beardown (Dartmoor) Cattle Grazing Company’ at £10.00 per share. According to an inflation calculator today the equivalent of £10 would be £832.21p so no mean sum. 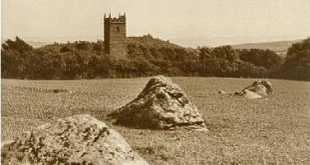 In effect there was nothing new with this concept as farmers had been grazing cattle on Dartmoor during the summer months for centuries, and in many cases still do. Basically the idea for this ‘project‘ was to get investors to buy large quantities of livestock or if you like form a ‘buying group’. What were the selling points of the Beardown Estate? Firstly it comprised of 1,800 of enclosed land. There were ample supplies of water coming from the rivers Dart and Cowsic along with the Devonport Leat. It came with a farmhouse and cattle sheds etc. and in addition an eight roomed residence that could be used as a holiday let for walkers, anglers and the like. It was also stated that in the previous year 800 head of cattle and sheep thrived on the estate in a season where grass crops were disastrous elsewhere. The notice then went on to say; “Thus it will be seen that a company, from the very small sum payable for so large an amount of land, would begin the undertaking with the most advantageous prospects, and the success of one year might induce more extensive operations the next.” Any applications for shares were to be made to Mr. Charles Wood, Auctioneer at the Fine Art Galleries, fore Street, Devonport. In the May of 1861 another notice appeared offering cattle grazing on the Beardown Estate for the season. I can find no further mention of the Grazing Company after that date. 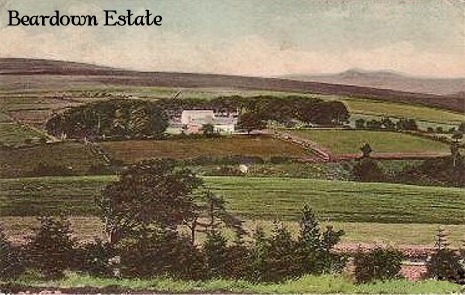 However in 1878 another notice appeared offering summer cattle grazing at Beardown estate for five shillings a head with sheep and ponies at the normal rates. It also mentioned the land was enclosed, the plentiful supply of water, good shelter and a herdsman in constant attendance. Sadly what it did not say was who was offering the grazing, there certainly was no mention of the Grazing Company? The other enterprise came to my attention in a report of a session of the Tavistock County Court which was held on the 24th of January 1878. Mr. John Lea brought an action against one Thomas Richard and others to recover £40 which was the value of 200 geese. The initial idea was to pasture a large number of geese on Beardown Estate for the purpose of fattening. As Richard already rented land on the estate he along with others was employed to tend the flock for a wage of seven shillings a week. Their duties were to include turning them out on a daily basis, care for them during the day and then returning them to their shelters at night. A short while after the geese arriving one of Richards’ workers, William Head, noticed quantities of dead geese lying around the moor whilst others were flying away from their enclosure. It was also stated that during the busy hay harvest he was instructed to ignore the geese for a few days whilst the crop was gathered. Sadly when the harvest was over he was unable to gather the flock which had reduced from 530 geese to 330, a loss of 200 head and hence the court case. The case for the defence argued that Mr. Lea had tried a “Goosey speculation,” and that as it had failed miserably was trying to recoup some of his losses from the defendant. It was noted that some of the geese had flow some four miles away from their enclosure and that for a meagre seven shilling a week the defendants were not bound to go after them Additionally it was pointed out that other geese had been killed by foxes whilst others had starved through lack of food. Lastly it was brought to the court’s attention that the geese had caused a great deal of damage to the farm and that in fact a further 54 birds had been taken to Princetown after the bulk of the survivors had been collected. The verdict of the judge was that it was impossible to establish how many birds had been lost during the hay harvest but if they had been neglected at that time the defendants had broken their contract. In the end the men were fined one shilling with no costs. An expensive outcome for Mr. Lea to say the least.